This is an incredible site – tons of photos of seeds and seedlings – info on sowing seeds and germination too. If you have a shed then you need to make a decision about how secure you make it. Some people leave them unlocked and hide all their valuable tools under piles of rubbish or in secret doors. Engraving your postcode and house number on tools might mean you stand more chance of recovering them if they do get stolen. This does rely rather on people reporting thefts though. It is always worth ringing the police and getting a crime reference number even if you don’t want to claim on insurance. It is important for crimes to be logged and then if they recover garden tools they have a list of what you’ve lost. If you keep large items like rotavators on site then a concreted in hoop to chain it to can be the solution. Whilst they could cut the chain it’ll take longer and be more effort. Some plotters use trail cameras to record images. There are lots of wildlife cameras suitable for hiding away on an allotment. Your local police will also have a crime prevention officer who could visit and give advice on improving site security. Most sites insurance will insist that the gates are kept locked all the time. This is a good idea for security and essential if people aren’t prepared to challenge people who wonder in off the street. Recently I watched someone walking round the site past a plot holder who just ignored them. I went and spoke to the person and gave them a tour of the site. It is better to check who people are and what they’re after rather than let people mooch about and then have tools disappear. Some lovely chicken photos on this blog – Mucky Cluckers – great writing too! You only need to grow a few varieties but with so many to pick from it might be a long decision! 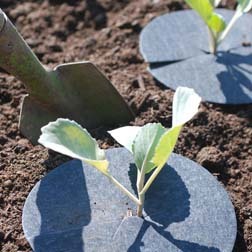 You can try these barriers to stop slugs getting to plants. meet specialist growers and buy seeds and plants, like unusual perennials and herbs. Organic Garden in all its springtime glory. If you get peckish, the Tea Room will be open all day for coffee, lunch and afternoon tea. Huntingdonshire District Council is holding a compost giveaway – On Tuesday 7 May, from 10am until 2pm, join the Environment Team in Riverside Car Park, Huntingdon, and on Thursday 9 May from 10am until 2pm find them in Riverside Car Park, St Neots. Remember to wear solid boots and thick trousers, and a visor and ear defenders. EC approved protective polycarbonate visor made to standard EN 166 optical class 1 and mechanical resistance class B antifogging. Double adjustment facility. Complete with EC approved adjustable hearing defenders made to standard EN 352 – 1. FREE DELIVERY NEXT WORKING DAY! Whilst many people will leave a fine grass cut on the lawn as a mulch, there are now mowers which do some special stuff to the grass to make it a better mulch for your lawn. Mountfield Mulching lawn mowers can recycle grass clippings by finely cutting and re-cutting the grass. This means that cuttings are easily concealed within the lawn and will easily wilt and decompose. This fine chopping of grass means the clippings get down to the earth level more easily, don’t clump and stay on the surface and are easier for worms to break down into the soil, or decompose on their own. It’s a great idea if you have a large lawn and no space for composting a full seasons clippings. It means less work emptying boxes or raking lawns too. We do love grass clippings as a mulch for veg beds though so if you like to use grass in your compost or as a mulch then you probably don’t want to use this feature. A premium quality lawnmower at a lower division price the Princess 38 Electric 4-Wheel Rear Roller Lawnmower packs a huge technologically advanced punch with its modern brushless induction motor and delivers exemplary value for money with top notch features and unrivalled mains electric performance from a mains electric in this price range. The motor produces 1600 watts of power and very efficient performance while keeping noise to a relative whisper and performance to a maximum. Fewer wearing parts means less likelihood of maintenance being needed and the lack of emissions ensures a clean mowing experience every time. The Princess 38 is so called because it has a cutting width of 38 centimetres which is perfect for lawns of around 15m2 and delivers effective three-in-one cutting with cut and collect rear discharge with a deflector to direct the clippings to the lawn and an included mulch plug which allows mulching helping to make your lawn more healthy and greener. The cutting height of the Princess 38 lawnmower can be adjusted easily from a single point and provides 6 positions of cut from 25 millimetres all the way up to 75. The lightweight polypropylene deck features a grass comb underneath which helps to ease the grass blades into the cut and avoid scalping while enhancing the cut and aiding collection. The wheels are wide and feature rubber tyres for a comfortable and smooth run with the rear tyres being much larger (front 150mm rear 250m) assisting turning and manoeuvring. As well as the wheels the Princess 38 Princess 38 Electric has a rear roller which produces an iconic striped effect similar to that of professional mowers and as featured on cricket pitches and landscaped lawns everywhere. A rear roller also helps keep the mower balanced and the cut even especially when mowing along edges paths and borders. Fully folding handles with quick release clips allow for trouble free storage and transport of the mower. The 40-litre grass collector has a handle for easy emptying and a hard top to keep dust from rising and irritating the operator and it features a grass full indicator window for convenience. The Princess 38 Princess 38 Electric Rear Roller Lawnmower comes with fifteen metres of cable included and carries a full 1-year domestic warranty. A high quality brushless induction electric motor producing 1800 watts delivering clean efficient emission free quiet power with very few parts to maintain an ample cutting width of 42 centimetres for swift effective coverage of small-medium lawns and a lightweight polypropylene chassis for easy and effortless handling make this lawnmower stand out in its class and promise quality as well as great value. The largest lawnmower in the range the superior Princess 42 Electric 4 Wheel Rear Roller Lawnmower can manage and maintain lawns of around 15m2 and is the ideal machine for smaller urban suburban or village gardens where the lawn is close to a power supply. The Princess 42 is a three-in-one machine giving you the option of cutting in three different ways. 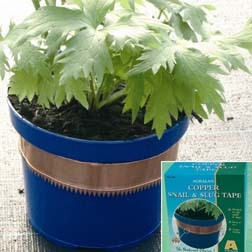 Cut and collect – with the included grass container collecting and storing the clippings until emptying rear discharge â€“ with the built in deflector directing the clippings towards the lawn and preventing stones from being flung out and mulching â€“ where an included mulch plug forces the grass clippings down into the lawn. This helps them to compost into the turf and can produce exceptionally healthy and verdant growth. Versatility is provided by the cutting height adjustment operated from a single-point for convenience and six positions are available from as low as 25 millimetres up to as high as 75 millimetres. The cutting deck has a built-in anti scalp grass comb feature to make sure no grass escapes cutting and ease horizontal blades into the vertical position and it will also enhance the cut and help with grass collection. Wide wheels with rubber tyres make sure every trip across the lawn is smooth and easy and the rear wheels are larger to facilitate easy turning and manoeuvring. The Princess 42 Electric has a smooth running rear roller situated between the rear wheels which creates the classic and much admired striped effect on the lawn. This roller is also useful for balancing the mower especially when cutting along the edges of paths or borders and helps keep the cut even For convenient storage the Princess 42 lawnmower has fully folding handles fitted with fast and easy to use release levers for stress free transport and storage. The grass collector has a generous capacity of 50 litres to reduce the amount of times you have to stop and empty and a carrying handle makes it easy to transport and tip while the air holes in the collector enhance airflow for better collection and the hard to keeps the dust down. A grass full indicator window also saves you from emptying until you need to. Fifteen metres of electric cable is included with the Princess 42 Electric Rear Roller Lawnmower and it carries a full 12-month domestic guarantee. Offering bagging; rear-discharge; mulching; and side-discharge as standard the fantastically well-equipped Mountfield HW511-PD is flexible enough to cope with a wide variety of grass-types and weather conditions. Power comes from a Mountfield RM55 four-stroke engine that has a substantial 160cc cylinder displacement and which does away with the conventional side-valve arrangement in favour of an overhead-valve one. This means a marked reduction in noise; vibration; exhaust emissions; and fuel consumption. The Mountfield HW511-PD 4-in-1 Self-Propelled Lawn Mower has power-driven rear-wheels so itâ€™s particularly suited to gardens with banks and tussocky undulating areas sections to deal with. The drive wheels are far larger than the rear wheels for greater traction and improved manoeuvrability. Thanks to its generous 51cm width-of-cut this premium model will enable you to get even larger-scale jobs done in quick-time. It benefits from having five preset cutting-heights so you can choose the one that will deliver the finish you prefer (adjustment is via a single lever); and itâ€™s fitted with a quick-release collapsible handlebar that ensures it will occupy very little space when not in use. Other stand-out features include an anti-scalp plate that works to prevent turf damage when using the lowest cutting-height; and an all-steel cutter-deck for impressive strength and durability. Grass collection rear-discharge and mulching â€“ the Mountfield SP505 Power-Driven Combi Lawn Mower has an operating-mode to suit every application. Its extremely smooth running Honda GCV135 engine is always easy to start and offers outstanding long-term reliability; while its 48cm width-of-cut and power-driven transmission combine to make this mower a great choice if youâ€™re looking to tackle larger lawns (around 55m2) quickly and with the minimum of effort. The Mountfield SP505 is an incredibly tough machine with its forged aluminium deck prompting Mountfield to offer a 20-year warranty against corrosion. It has a nine-stage cutting-height which is quick and easy to adjust using a single lever allowing you to adapt the blade-position to suit both the conditions and your desired finish. Other key features include an Operator Presence Control (OPC) which cuts the engine when the â€˜deadmanâ€™s handleâ€™ is released improving user-safety; and a very large-capacity 70-litre grass-collector for fewer emptying interruptions. The Mountfield SP555 Combi Power-Driven Petrol Rotary Lawn Mower will prove a great choice if you’ve got large grassed areas that need to be regularly maintained. Its ‘Combi’ capability provides three operating modes – collection rear-discharge and mulching – so different weather conditions and grass-types won’t prove a problem. This incredibly tough lawn mower is built around an aluminium deck which comes with an impressive 10-year anti-corrosion warranty. With its high-performance 160cc Honda GCV160 four-stroke engine self-propelled drive and very generous 53cm cutting-width the Mountfield SP555 is well equipped to take-on large-scale domestic applications. The GCV160 is one of Honda’s premium residential-use power-units and is renowned for being quiet clean-running and fuel-efficient (and there’s no need to waste time preparing a two-stroke fuel mixture). The Mountfield SP555 Lawn Mower has a convenient centrally-controlled height-of-cut which can be set to nine positions between 30 and 80mm for maximum flexibility of use. It also features a very large-capacity 70-litre grass-catcher which significantly reduces the frequency of emptying-breaks; and an Operator Presence Control a fail-safe system that ensures the engine is cut when you’re not at the controls. As with all Mountfield lawn & garden tractors the 1538M-SD is characterised by its superior build-quality; attractive up-to-the-minute styling; and impressively low price-point. Itâ€™s a dual-capability machine with mulching and side-discharge modes offered as standard. Mulching is the obvious choice when looking after a formal regularly trimmed lawn; while side-discharge will come into its own on the sort of long damp grass found in meadows paddocks and orchards. Versatility is further enhanced by the inclusion of a tow-bar which opens-up the possibility of working with one of the many trailed attachments that are available from MowDIRECT. Under the bonnet of the Mountfield 1538M-SD Side-Discharge Lawn & Garden Tractor lies a high-performance 14.5hp GGP engine thatâ€™s the result of ten-years of rigorous testing; and which has been specifically designed for use on garden tractors. Itâ€™s an OHV-type unit so low fuel-costs and quiet low-vibration operation are guaranteed. The Mountfield 1538M-SD employs Mountfieldâ€™s ContraFlo cutting-system whereby the powerful airflow created by the counter-rotating action of the two blades works optimise performance when it comes to both mulching-capability and quality-of-cut. The blade height can be adjusted through seven stages between 25 and 80mm so youâ€™ll have no problems managing changing conditions. Thanks to its five-speed manual transmission (plus reverse) you can drive the Mountfield 1538M-SD at a speed that best suits not only the grass-type youâ€™re mowing but also the nature of the terrain youâ€™re negotiating. Wide profile tyres provide the grip youâ€™ll need when operating on hilly or muddy ground; while twin headlights mean youâ€™ll be able to carry on working safely in low-light conditions. The Mountfield 1538H-SD Lawn & Garden Tractor combines a very large 98cm cutting-width with a hugely powerful 14.5hp Mountfield single-cylinder engine so it will prove a great choice if youâ€™re looking-after a very large lawn (up to two acres). Its side-discharge function is ideal for areas that are less regularly maintained; while its mulching capability comes into its own on regularly trimmed formal lawns (grass-clippings are finely shredded so they quickly rot and disappear). Large lawn-tractors can often be difficult to control and manoeuvre. Mountfield have got around this problem by incorporating a variable-speed hydrostatic-drive which allows you to adjust the ground-speed in infinite increments while on the move. This not only makes it easy to mow around and between garden obstacles but also enables you to select the most effective ground-speed for the conditions and grass-type youâ€™re working with. Other high-specification features include Mountfieldâ€™s ContraFlo cutting-system which optimises under-deck air-flow for excellent mulching performance; and a seven-stage height-of-cut (25 â€“ 80mm) so you can set the blade-position to create your desired finish. A tow-bar is supplied as standard. A groundbreaking and very exciting breakthrough in lawn tractor design the Mountfield 1430H is the only 82cm cutting width tractor to feature twin-blade cutting action and is an innovative stylish and performance machine at a remarkably affordable price offering unrivalled collection compact ergonomic design comfort and cutting efficiency. Designed to cut on larger lawns the 1430H features a hydrostatic drive delivering precise and detailed unlimited control over acceleration and deceleration both forward and reverse without clutching or gear changing up and down to help negotiate obstacles and cut right up to edges borders or walls the tightest steering and handling available. The tractor is powered by a powerful Mountfield 7500 432cc series engine which delivers 7.5kw (2800rpm) of power to deck and wheels and ensures a dependable quiet and smooth performance. This is achieved by careful and expert engine design researched for over ten years. Bearings are used on all of the spinning surfaces within the engine with an internal oil pump ensuring that the engine is lubricated throughout without relying on oil being splashed around. The piston moves in a cast iron liner and the crankshaft is balanced to reduce vibration. Over ten years of research has gone into this engine and it shows. The six-litre fuel tank speeds up working by ensuring longer sessions with less refuelling. The non-timed non-overlapping twin-blade action of the cutting deck which cuts the whole width of the machine is carefully calibrated to maintain a smooth and even cut while avoiding any damage that might be caused by obstacles knocking the blades. The airflow created by the blades and the design of the deck facilitate unrivalled collection in wet and dry conditions with the grass stream powered straight back into the collecting bag and the bag has a very large 240 litre capacity â€“ unusual for a tractor of this size – so you spend far less time emptying your cuttings on the compost heap and more time actually mowing Versatility and cutting power is aided by the a seven-position cutting height adjustment with a useful range of heights from 25mm up to 80mm so you can create a close clean and even cut or mow longer patches of grass with variations in between. The clean fresh lines of the tractor are both pleasing and ergonomically sound and all the controls on the Mountfield 1430H are very simple to use and specifically designed to be within optimal reach of the operator. This includes the easy-to-use cutting -height adjustment handle which requires minimum effort and engages easily The overall design of the tractor is carefully though out to make use stress free this runs to the step-through shape making it easy to get on and off the machine and the gripping but soft underfoot mounting plates/foot rests angled for optimum position. There is an ergonomically shaped seat padded for extra comfort and mounted on a spring suspension system. The seat is adjustable so you can sit in the optimum position for mowing and the moulded steering wheel is shaped and positioned for comfort and convenience. The wheels have heavy-duty pneumatic tyres for superior traction and stability in awkward terrain or muddy conditions and twin headlights let you work in poor visibility and enable working hours to be extended. A deck wash system enables you to sluice the cutting deck easily keeping the deck at its most efficient. The cutting deck is electronically engaged and is 84cm wide with the overall width of the Mountfield 1430H at 89cm so the tractor should be able to be negotiate most standard garden entrances. A deck wash system with twin hose nozzles is easily assessable from the sides of the mower without having to open any part of the machine. To enable mulching and cut and drop a deflector kit and mulch plug are available separately and this lawn tractor carries a two-year manufacturers guarantee. This premium-quality lawn & garden tractor from Mountfield offers high-spec features throughout and will come into its own on lawns and informal grassed areas of up to 2.5- acres. Itâ€™s powered by a 452cc Mountfield 7750-Series engine; an overhead-valve power-unit which youâ€™ll find smooth-running exceptionally reliable and highly economical. An electric key start starting ensures getting the engine going is a fast headache-free operation. Instead of a clunky manual gearbox the Mountfield 1640H is equipped with a hydrostatic drive. Similar to a an automatic transmission on a car this high-end feature enables you to control the mowerâ€™s speed (both forward and reverse) using a foot pedal maximising manoeuvrability when mowing around and between obstacles and making it easy to select the most effective pace for the grass conditions. A very tight turning circle (160cm) further improves manoeuvrability. Thanks to its bagging mulching and rear-discharge capabilities the Mountfield 1640H Lawn & Garden Tractor offers the versatility needed to tackle a range of different grass types. In collection-mode grass clippings are blown from the 102cm twin-blade cutter-deck into a very large-capacity 260-litre collector that makes it possible to get the job done with fewer stops. The collector can be emptied without leaving the driverâ€™s seat and is fitted with a â€˜collector fullâ€™ buzzer to let you know when itâ€™s at capacity (this helps to stop the discharge-chute becoming blocked due to overfilling). Clumped grass-clippings around the blades and underside of the deck can seriously inhibit performance so Mountfield have equipped the 1640H with a handy deck-wash facility. Simply attach a hose turn on the water and then spin the blades – the dead grass will then be thoroughly removed. This cutter deck on this model is slightly wider than the width of the wheels so thereâ€™ll be less post-mowing trimming work to do. The Mountfield 1640H features a seven-stage height-of-cut adjustable between 25 and 80mm to suit both your preferred finish and the length of the grass youâ€™re working on. Like the grassbox-emptying mechanism the cutting-height can be controlled from the driverâ€™s seat (thereâ€™s no need to stop to make adjustments). Other notable features include electromagnetic blade-engagement which reduces wear and extends the life of key parts; and twin-headlights that will allow you to finish the job if you started a bit too late in the afternoon. If your lawnâ€™s that bit too big to tackle with a walk-behind mower but not quite big enough for a fully-blown garden-tractor then the Mountfield 2800SH Ride-on Mower could be the perfect solution. Its powerful 389cc Honda GXV390 engine drives a hydrostatic-transmission which provides infinitely-variable control of the ground-speed. This high-specification feature works with the mowerâ€™s compact working-width (71cm) and tight-turning radius to make it one of the most manoeuvrable machines in its class. The engine has an electric key ignition so youâ€™ll have none of the starting issues so common with conventional recoil-starters. Where conditions suit the Mountfield 2800SH Ride-On Lawn Mower can be used with the optional mulch-plug. Quick and easy to fit this blocks-off the discharge-chute so that clippings are held under the deck where theyâ€™re finely shredded before being forced back into the lawn surface. Theyâ€™ll then quickly rot and disappear releasing valuable nutrients moisture and micro-organisms as they do so. This process will not only leave you with a beautifully verdant lawn; it will also save you time and fuel-costs as thereâ€™s no need to repeatedly drive to the compost heap to empty the collector (mulching has been shown to reduce mowing-time by up to 30-percent). The very large-capacity 170-litre grass-catcher on the Mountfield 2800SH can be emptied from the driverâ€™s seat and is equipped with an audible â€˜collector fullâ€™ alarm. This is a handy feature as it prevents the discharge-chute becoming clogged in turn ensuring you wonâ€™t have to waste time and effort unblocking it by hand. This fantastic little ride-on also features a seven-step height-of-cut adjuster (30 â€“ 80mm) so you can make performance-boosting changes to the blade position where necessary. Itâ€™s ideally suited to lawns up to 1.5-acres in area. The Mountfield 3600SH combines practicality convenience and exceptional performance so will prove a great buy for those seeking an effective and hassle-free way to maintain a lawn between one-and-a-half and two acres. Itâ€™s fitted with a powerful and ultra-dependable Honda GXV390 engine thatâ€™s equipped with an electric key starter so grappling with a starter rope will become a thing of the past. A very large-capacity 4.5-litre fuel-tank helps to keep downtime to a minimum. One of the many stand-out features on the Mountfield 3600SH Lawn & Garden Tractor is its foot-operated hydrostatic-drive. This works much like an automatic gearbox in a car â€“ the more firmly you press the pedal the faster the forward-speed. A separate pedal controls the reversing speed. The hydrostatic-transmission on this model combines with light-touch steering and a very tight turning-radius to make highly manoeuvrable so it will really come into its own if youâ€™ve got trees shrubs borders and difficult corners to deal with. It cuts beyond the width of the wheels which means thereâ€™ll be less strimming work to do once youâ€™ve finished mowing. Thanks to its flexible seven-stage cutting-height (adjustable between 25 and 80mm) the Mountfield 3600SH can be set-up to achieve great results on any grass type (the height is controlled by a handily positioned lever). Its 92cm twin-bladed cutter-deck ensures a neat and thorough cut and is equipped with a hosepipe attachment which makes cleaning the underside of the deck a fast hassle-free operation. The Mountfield 3600SH also features a large-capacity grass-collector that will hold an impressive 260-litre of grass-cuttings. The collector has an audible â€˜collector fullâ€™ warning which means you wonâ€™t have to clear the inevitable blockage that will occur should it be overfilled. It can be tipped and emptied without leaving the driverâ€™s seat. A mulching-kit can be purchased separately while a tow-bar is supplied as standard. A dedicated mulching mower the Mountfield 2135H is ideal for larger formal lawns where collection is not required. Instead of being bagged cut grass is held under the 85cm twin-bladed cutter-deck where itâ€™s finely chopped by contra-rotating blades before being deposited on the lawn surface. The mulch will then quickly decompose and disappear furnishing the turf with condition-enhancing nutrients as it does so. The Multiclip deck on the Mountfield 2135H is front-mounted so youâ€™ll be able to access areas that would be impossible to reach with a mid-deck machine. There are nine deck-heights (30 â€“ 80mm) so you can select the one thatâ€™s most appropriate for the length of grass youâ€™re mowing. Power for this high-specification machine comes from a 344cc (13.5hp) Briggs & Stratton AVS overhead-valve engine that offers commercial-grade performance and rock-solid reliability. A key-type ignition system means thereâ€™s no need to grapple with a starter-cord as you would with a traditional recoil-type mechanism. The Mountfield 2135H Front Cut Ride-On Mower has been equipped with a front-wheel hydrostatic-drive that gives you infinitely variable speed-control for enhanced manoeuvrability and flexibility-of-use. Rear-wheel steering contributes further to the machineâ€™s agility. The steel frame chassis on this model brings with it an impressive 10-year warranty. A lawn tractor with a big cutting width for larger gardens. Powered by a powerful V-Twin Briggs & Stratton engine the Mountfield 1840H Lawn Tractor has a hydrostatic transmission and is fitted with a 102 cm (40″) working width “Contra-Flo” cutter deck. It’s suitable for gardens up to 3 acres and a pleasure to drive. The Mountfield â€˜ContraFloâ€™ system uses significantly less power than traditional lawn tractors; as a result fuel consumption and noise are kept to a minimum. Grass is cut and ejected at high velocity into the 300 litre capacity collector in one smooth efficient operation. An audible alarm sounds when the collector is full; the collector can be emptied from the driving seat. Garden debris such as fallen leaves or pine needles can also be collected. The deck features a wash facility that utilizes any hose with snap-on connector. Cleaning after use is simplicity itself. Key information is shown on the steering console in an illiminated display. The cutter deck has an electronic engagement and gives a high quality of finish and collection. Operator comfort is a high priority with hydrostatic transmission for infinitely variable speed control an adjustable seat and ergonomically placed controls. A tow bar and mulching plug are are included as standard. Featuring Mountfieldâ€™s groundbreaking Multiclip recycling technology and built to the most exacting standards this top-of-the range mulching machine is the practical and convenient way to keep a large formal lawn in tip-top condition (itâ€™s recommended for areas up to 2.5-acres). The Mountfield 4155H is a purpose-built recycler so youâ€™ll save a great deal of time due to the fact that you wonâ€™t have to collect and dispose of cut grass. Instead of being sent to a catcher clippings are chopped into tiny fragments that will quickly rot and vanish from the turf leaving you with a neat and naturally well-nourished lawn. The 95cm front-mounted cutter-deck on the Mountfield cutter-deck not only provides you with an unobstructed view of the cutting-path but also allows you to mow under low-hanging trees and into awkward corners. In addition because the wheels donâ€™t flatten the grass prior to cutting youâ€™ll get a far more consistent finish. Power for this high-specification ride-on is supplied by an industrial-grade AVS-type unit from the worldâ€™s leading small-engine manufacturers Briggs & Stratton. Rated at a huge 15.5hp the engine benefits from an overhead-valve configuration that leads to lower fuel-costs; improved reliability; and quieter smoother-running performance (when compared to a similarly-rated side-valve unit). An electric key ignition eliminates starting-headaches. Thanks to its articulated steering system and infinitely-variable foot-pedal operated hydrostatic drive the Mountfield 4155H could not be easier to control and manoeuvre. The hydro drive also makes it simple to select the most effective ground-speed for the terrain and grass conditions. In order to ensure you can achieve the finish youâ€™re looking for Mountfield have equipped the 4155H with a nine-step cutting-height; adjustable between 30 and 90mm. Also worth noting is the impressive 10-year warranty that comes with the steel frame chassis. We mowed the lawn yesterday, both at home and in the apiary. When I say we, I mean I started it and then my partner took over. Mowing is a job he seems to quite enjoy now we have a petrol mower. We have a mountfield mower. We had to get it done bfore the rain arrived as it’d take a day to dry again and the apiary grass especially was quite long. I’ve collected all the grass cuttings up and will be using them as a mulch. It was too long to leave the grass cuttings on the grass. You can leave a light cut on the grass as a mulch but long grass just clumps too much and creates a mess when you walk through it. The mountfield we have has two boxes for grass so it’s easy for one person to empty them whilst the other is just slotted on and the mowing continues. If you have a small lawn then you might not want two, but for a bigger lawn it’s a lovely idea. The hand-propelled design of the Mountfield HP414 gives you ultimate control over the ground-speed in turn making it easy to mow safely and accurately around and between garden obstacles. The use of a lightweight rust-resistant polypropylene deck helps to keep the overall weight of the mower down to just 19.5kg so youâ€™ll have no trouble pushing it along or lifting it into the car. The Mountfield HP414 Hand-Propelled Petrol Lawn Mower has a smaller 39cm width-of-cut so itâ€™s ideal for those with less substantial lawns (around 20 x 20m). Itâ€™s fitted with a 100cc Mountfield RS100 engine; a four-stroke overhead-valve power-unit thatâ€™s quiet-running clean-burning dependable and fuel-efficient. Starting is via an easy-pull recoil mechanism. Offering five preset cutting-height positions (adjustable between 25 and 70mm) the Mountfield can be set-up to suit both the grass-length and your desired finish. Cut grass is deposited in a large-capacity 40-litre collector-bag which is simple to remove and fit and ensures youâ€™ll be able to get plenty of mowing done between emptying-stops. Other notable features include an Operator Presence Control (OPC) which acts like a â€˜deadmanâ€™s handleâ€™ for enhanced user-safety; and collapsible handles which can be folded to save space when the mowerâ€™s not in use. Representing exceptional value with class defying specifications and quality this hand propelled lawnmower is another MowDIRECT exclusive offer and delivers the kind of great cutting power durability and robust construction that you would normally expect to find way up in another price bracket. The deck is tough sturdy pressed steel for durability and a fine-looking finish. The engine is a 140cc Mountfield model offering reliable operation and lots of power. This mower is a great starter with an easy smooth and dependable recoil pull and there is an adjustable throttle mounted conveniently on the handlebar to adjust the revs. The 45 centimetre (18â€) cutting width ensures first-rate coverage on medium to large lawns up to around 900m2 while remaining compact enough as a push mower to be easy to manoeuvre around the garden with simple turning assisted by the slightly larger rear wheels which are wide gripped to protect the lawn. The shape of the deck enhances airflow carrying the grass back efficiently from the smooth crisp cutting rotary blades into a grass collector. This collector is large capacity at 55 litres so you spend more time filling the collector and less time emptying it. The grass collector is made of loosely woven fabric that lets air flow through optimising the current and enhancing collection even when wet. There is a hard top to the collector which keeps the dust from rising in drier conditions. This mower offers single lever-controlled height of cut adjustment in five positions from a close cut and tight 20mm up to 70mm for longer rougher grass delivering maximum expediency and efficiency a great feature at this price. The comfort features are as top-notch as the rest of this mower the ergonomic handles and controls with a flush OPC bail arm that sits comfortably against the handle and in your hand as well as folding handles for compact and easy storage. Easy to operate and highly-effective the Mountfield SP414 will prove the perfect purchase for those seeking a practical hassle-free way to look after a less substantial lawn (up to around 20m2). Itâ€™s characterised by its power-drive to the rear-wheels; a high-spec feature that allows for effortless mowing on slopes and areas of bumpy ground that would be difficult to traverse with a hand-push machine. The Mountfield SP414 has a compact 39cm working-width so it will come into its own in gardens with awkward corners narrow gateways and closely-spaced trees and ornaments to negotiate. Itâ€™s powered by Mountfieldâ€™s 100cc RS100 engine a four-stroke power-unit thatâ€™s renowned for its quiet clean-running and economical performance. Starting the engine is fast and dependable. Supplied with a large-capacity 40-litre grass-collector the Mountfield HP414 Self-Propelled Petrol Lawn Mower can be used for long periods between trips to the compost-heap. Itâ€™s constructed around a highly-robust polypropylene deck that wonâ€™t rust and provides lightweight durability; and if gives you the choice of five preset cutting-heights (25 â€“ 70mm) so youâ€™ll be able to create a fine-tuned finish and make performance-boosting adjustments to suit the conditions. Other features on the Mountfield SP414 include a fold-down handle which can be quickly collapsed to save space; and an Operator Presence Control which act like a â€˜deadmanâ€™s handleâ€™ stopping the engine (and therefore the blade) when you let go of the bail-arm. This exclusive Special Offer from MowDIRECT represents real value for money and provides you with the opportunity to purchase a reliable and quality large-sized lawn mower from the UKâ€™s leading brand at a truly affordable price. The Mountfield SP536 has an extra-wide 51cm cutting width enabling you to cover ground quickly and efficiently. Itâ€™s suitable for medium-large sized lawns up to around 55 x 55 metres. The 160cc OHV petrol engine is fuel efficient and quiet running as well as being incredibly easy to start. It offers plenty of power enabling you to tackle a variety of grass types from lawns to areas of rough. The large-sized 60 litre collector has been designed to really pack in the grass and reduce the number of stops to empty. It comes with a hard-top to stop dust rising in drier conditions and the quality fabric bag aids air flow for superior collection when itâ€™s wet. This versatile lawn mower has a wide range of cutting heights (25-75 mm) making it suitable for long and short grass whilst the large ball bearing wheels assist mobility on uneven terrain and wonâ€™t stiffen with age. The quality steel deck on this mower provides added robustness and long term durability. It also comes with a powder coated paint finish for longevity. Built around a forged aluminium deck that carries an impressively lengthy 20-year anti-corrosion warranty this premium-quality machine from long-established British brand Mountfield is hard to beat in terms of long-term reliability. Driving it is Mountfieldâ€™s ever popular garden-machinery engine the four-stroke RM55. These 160cc power-packs use the latest overhead-valve configuration instead of the now outdated side-valve one so you can be sure of lower fuel-costs; fewer damaging exhaust emissions; and quiet low-vibration operation. Featuring power-driven rear-wheels the Mountfield AL511-PD requires very little effort to use and will come into its own on lawns with tussocky areas and/or slopes. Itâ€™s fitted with a high-volume grass-catcher (70-litres) thatâ€™s made from breathable canvas so as to ensure it gets filled to maximum capacity; and thereâ€™s a built-in rear-deflector so you can save time by mowing without the collector where the conditions are conducive. The Mountfield AL511-PD Aluminium-Deck Lawn Mower has a substantial 51cm cutting-width that makes it the perfect work-partner for with a larger lawn (up to 55m2). A seven-stage height-of-cut ensures thereâ€™s a suitable blade setting for every eventuality; while Mountfieldâ€™s provision of a deck-wash link means the mowerâ€™s undercarriage can be easily cleaned of any detritus that might be limiting performance. Other appealing features include ball-bearing wheels that will continue to roll freely for the lifetime of the machine; and a height-adjustable handlebar which ensures gardeners of any stature can work in comfort. 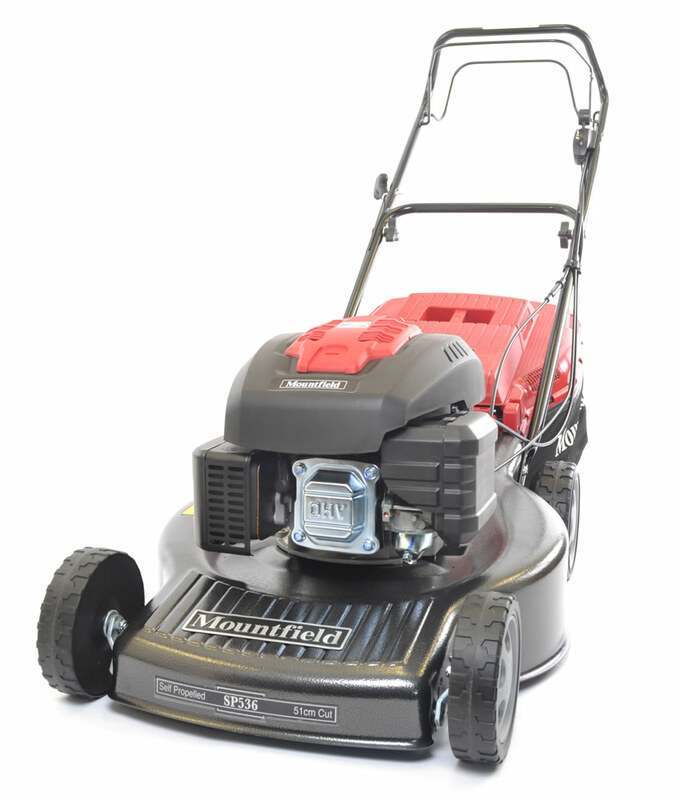 If youâ€™re looking to achieve an exceptionally close-cut finish similar to that of a bowling green or tennis court then the Mountfield Emperor 40 could be the mower for you. Its six bladed cutting-cylinder is capable of cutting up to 339 times every metre and can be height-adjusted in infinite increments between 7 and 30mm to suit your preferred finish (the average rotary mower will only cut down to around 20mm). Robust steel rollers at the front and rear of the machine will leave behind a traditional â€˜Wimbledonâ€™-style stripe. The 40cm cut 51-litre grass-collector and self-propelled drive on the Mountfield Emperor 40 combine to make it ideal for formal lawns around 55m2. Itâ€™s equipped with an ultra-reliable 127cc Briggs & Stratton engine; an overhead-valve type unit that youâ€™ll find smooth-running environmentally-sound and easy to get started. Power from the engine is sent via a centrifugal clutch which keeps wear to a minimum and stops the engine from stalling should the cylinder come to an abrupt halt for any reason. The Mountfield Emperor 40 Self-Propelled Cylinder Lawn Mower also features an Operator Presence Control; a safety device that ensures the engine stops when you release the bail-arm. The Mountfield Emperor 50 has been developed to achieve the sort of professional-style manicured finish youâ€™re likely to find on a bowling-green or tennis-court. Its six-bladed steel cylinder is capable of producing an incredible 339 cuts per-minute; and is infinitely height-adjustable between 7 and 30mm so you be able to achieve a â€˜just soâ€™ finish (7mm is incredibly low when you consider that many rotary mowers will only cut down to around 20mm). Thanks to its premium-quality 127cc Briggs & Stratton overhead-valve engine youâ€™ll find the Mountfield Emperor 50 Self-Propelled Cylinder Lawn Mower fuel-efficient environmentally friendly and smooth- and quiet-running. Power from the engine is transferred through an automatic centrifugal clutch which ensures the cylinder is only engaged when a certain RPM is reached. Offering a self-propelled drive and a substantial 50cm cutting-width the Mountfield Emperor 50 is a fast and efficient performer over larger areas. Itâ€™s equipped with a capacious 62-litre polypropylene grassbox which wonâ€™t rust and will enable you to finish the task with fewer stops; and it employs a safety-enhancing Operator Presence Control which stops the engine (and therefore the cutting-cylinder) when you let go of the main handle. This model also features heavy-duty front and rear steel rollers for that traditional striped effect.